Our servers were excellent. From Jerome the butler to Ronna our room assistant to our entire wait staff. From the bars to restaurant, they were great. The excursions were good but I would not consider a bargain, fairly expensive. We hired a private driver for the last port who not only drove us to Pisa roundtrip but took us on an extra 2 hr private sceneic tour to Cinque Terre, stopping for pictures and a roadside snack. It was less than a similiar Costa Excursion and exceeded our expectations . Overall the cruise was fun however it is doubtful I will venture again with Costa. $3000 for a balcony that we could hardly use due to the fellow guest who smoked on their balconies. And a negative experience where the customer service desk quoted us incorrect information about location and time available to pick up passports upon disembarking which caused avoidable stress. I loved the itinerary and the excursion we took. But the atmosphere on the ship was at times not very pleasant, with people rushing, not paying attention, also, not enough English information. The ship was a little dated but very clean and well kept. the artwork on the walls interesting. We did have to explain to our 9 year old why there was naked girls on the walls. Hard to get food after hours and the breakfast opens late.for some non-cruise excursions. The ports of call were really good, the market in Finland had some of the best seafood we found. Be aware the first day in Russia takes a long time to clear customs. A lot longer than you’d expect. Also costa requires that a person 21 years or older be the main “renter” on a cabin. This is particularly awkward when you have to split up a family in order to get everyone a bed. You end up being at different dinner times and restaurants. I have sailed Costa in the past which is why I decided to book another sailing with the line. Unfortunately this time around - the experience was different - and not as good as our previous one. Costa now charges for pizza in the evening, as well as ice reams and desserts. There are no complimentary snacks to be found after 10pm which on every other cruise line is not the case. The cruise line didn't enforce the emergency drill for those who had missed it - of all cruise lines one would think that this would be enforced. The cruise line insisted that we could not leave the ship in St. Petersburg unless we were on an excursion with and only them (this was not true - we booked our own excursion ahead of time) For breakfast - there was a lot of chaos and disorganization The ports were great overall - the cruise itself asn't bad but I'd think twice abut taking this line in the future b/c of the changes they now have in place. This changes in my opinion detract from your overall if cruise experience. We booked because we liked the itinerary. The ship was nice but the free beverage included only water and tea/coffee in the morning, while other cruise ships offered free ice tea, flavored water and coffee/tea all day. Using hand sanitizers is not mandatory like in other cruise ships, increasing the risk of contracting illness. The main dining restaurant offered only Italian menu throughout the cruise and the servings are small. The shows are good. The customer service of the staff could use some improvements, like smiling at customers. There were no toiletries at all in our bathroom, like soap and lotion. We had to ask for soap and when we asked for lotion, the cabin steward told us that lotions are not provided, unless we are gold members. I think this penny pinching will hurt this cruise lines business. We have used Royal Carribean, Norwegian and Princess and the service there are a lot better and they all provide soap, lotion and more selections of free drinks. this is my first time cruising with Costa,the impression is not that great to compare with Norwegian Cruise( my frequent cruise liner ). It's hard to understand why they don't serve coffee or tea after dinner,and coffee is available only on certain hours. English is not the major language on the ship, I guess they cater mostly to the EU people, food is not that great neither, but, as the old saying said,you are paying what you get,so, can't complain too much about it,because the price is really reasonable, I give it a 4 star, because I found it was a quite enjoyable trip. We were somewhat apprehensive about this cruise. Reports of mobs not queuing at the lido, too many announcements in several languages did not come true. Passengers were all respectful of each other. Many italian families enjoying a muti-generational holiday. The service by all the staff was excellent, our room steward supplying us with extras on request, and the wait staff always remembering our favorite beverages. We purchased the beverage package and were very pleased with that, had no difficulty getting drinks of any kind at any venue. We did pay for a dinner called "dining under the stars", which was not up to any cruise line standard. Our impression was that this was a new addition and was horribly disorganized, orders not placed correctly and wait staff tripping over themselves. This was the only negative of the trip. The dining room food was not to our tastes, but it appeared that most other cruisers enjoyed it. We felt it lacked flavor. We did purchases 2 ship excursions and were pleased with both. One was a walking tour of Cadiz, the other bus transport to Rome. Both were very well organized and we felt well taken care of. Embarkment and disembarkment were a breeze. The one thing that did catch us off guard is that they do take your passports at embarkment and returning the morning of disembarkation-we were caught unaware on this. They did provide a copy of our passport delivered to the room-to be used when leaving the ship. We did attend some of the evening shows and they were good. There were lots of opportunites for dancing, always classes, and big group dancing. The Italians love to dance, young and old alike. I had need to visit the ship doctor on two occasions and was treated professionally and received the care and prescriptions needed. We were on board on the 4th of July, the ship gave a small party for the American citizens with cake, live music and a visit with the ship caption and all the officers. The extra effort was appreciated. This cruise was several steps below a Carnival cruise. The food was typically not good. We looked forward to eating ashore. The crew (other than a few crew members) were not friendly and seemed annoyed to be asked questions (especially at the customer service desk). There were few fluent English speakers, and the excursions were sometimes cancelled for want of sufficient English-speaking passengers. The ship itself was in great condition. Oddly, the pools all shut down at 10 pm, and the slide was only open four hours per day, meaning it had long lines during those hours. Unfortunately, the cost of the cruise was high, making our experience all the more disappointing. Find another cruise line. Too many people for my taste but nice cruise anyway. Expected an upgrade with my "upgradable single room" for more than $2,000 but did not get a balcony. Cannot understand why the crew puts loungers away so early - they should be available (at least some of them) all night. Also, definitely do not understand the strict limitation on the times that the waterslide is open. Boarding the ship took us a very long time. We had to go through three huge lines. The safety briefing was conducted slowly and in five languages​​, just to explain how to wear a vest. After an hour of standing my back was in pain. We got an offer for drinks "all inclusive" and didn't regret taking it, because even mineral water on board was not free. The food on the ship and in the restaurant and the buffet was poor, especially the fish dishes were very average. Four times out of seven days, our toilet did not work in the morning and it was an inconvenience. Staff service often was not on the desired level. The evening shows were boring, except for a couple of performances. We were on cruises three times befor and always on American cruiselines (Carnival, Royal Caribbean). We expected the same level of service here. But now we see a huge difference and we will not choose again Costa Magica. However, there were employees who we would like to thank for their work: Inacio Fernandes (main waiter, (at dinners), India), I Wayan Sumadi Adi (assistant waiter, Indonesia), Katerina Zakharova (bar waitress), Eka Ayu Dewi (cocktail waitress, Indonesia), Nha Nguyen Thanh (bar waiter, Vietnam). These people were really kind, helpful, polite and in our opinion did their best at the cruise, which made a difference for us. Посадка на корабль производилась очень долго, для этого нужно пройти три очереди. Инструктаж проводился медленно и на шести языках, всего лишь поясняя, как надеть жилет - после часа стояния разболелась спина. Мы воспользовались предложением для напитков "Все включено" и не пожалели, потому что даже минеральная вода на борту была платной. Еда на корабле и в ресторане и в буфете была ну очень скромной. Особенно рыбные блюда оставляли желать лучшего. Четыре раза из семи дней наш туалет не работал и это доставляло определенные неудобства. Работа обслуживающего персонала не на должной высоте. Вечерние шоу были скучными, за исключением пары выступлений. До этого мы были в круизах три раза и всегда на американских линиях (Carnival, Royal Caribbean), потому и здесь ожидали такого же уровня. Но теперь мы видим огромную разницу и не выберем еще раз Коста Маджика. Но были сотрудники, которых хочется отдельно поблагодарить за их работу: Inacio Fernandes (main waiter, India), I Wayan Sumadi Adi (assistant waiter, Indonesia), Katerina Zakharova, Eka Ayu Dewi (cocktail waitress, Indonesia), Nha Nguyen Thanh (bar waiter, Vietnam). Эти люди были очень вежливы, позитивны и профессиональны. I've cruised with Costa before (as well as other cruise lines). I was rather disappointed with this particular cruise, however. Costa really made some serious cuts with this cruise and/or ship. The schedule of events on board was dull, to say the least. It seemed that the cruise director really slacked off on his job. It was something of a half-efforted entertainment schedule. Furthermore, many of the crew on board were rather rude. Customer service was not a priority on this ship. More than a few times, I heard a crew member tell a customer "That's not my job," or "ask someone else." There was a general I-don't-care attitued aboard this cruise. With that in mind, the ports of call were amazing. We had a blast everywhere we went! The route was amazing, and I would take this cruise again (only, I wouldn't pay as much for it) just to go to the same ports. I would, however, have to bear in mind that the cruise would be primarily a mode of transportation, and not expect much regarding entertainment on board. 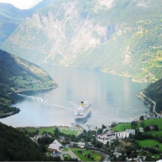 We chose this cruise primarily based on the ports it went to...which were absolutely fantastic. But the ship left something to be desired. I had recently gone on a Carnival cruise in the carribean. The boat was nearly identical, but for some reason this one fell short. First of all, the boat was completely full. It was a fight everyday in lines, for tables, and even for chairs. People were everywhere. The food was sub-par. They had less food options that I was used to, and much of the food was sub-par. For an Italian cruise line to only serve 2 flavors of pizza the entire time is crazy. The entertainment and dancing were also quite lacking. The dinner performances were cheesy, but only 1/2 as cheesy as the nightly shows (of which I only attended 1 they were so bad). Long story short...this cruise boat took me to some great places, but the boat experience left much to be desired. We were very satisfied with the cruise. We chose it because of the ports and the time limits we had. We were satisfied with everything on board. As vegetarians found more things that we could eat than we had expected. The room was kept very clean. We were tired in the evenings, so didn't go to the entertainment, and don't know how that was. Staff we interacted with were very nice. Everything was great except we were moved to a table of two ( I now know how someone deaf feels) and trying to find couples from the USA. I can understand that on a ship of 4000 would have mostly Europeans but all Europeans...It was so very difficult finding American couples.There were only a few . We should have realized that August is the high point for Europeans to take their vacations... Yikes. We have been on six cruises and should have known better. The ports of call were great however and definitely would recommend the all inclusive drink package. Our next cruise will be packed with Americans. The itinerary was excellent. The service was ok. The dining areas around the pool were pretty dirty. They never seem to wipe down the tables. We never knew the name of our steward. He never introduced himself. The tipping is awesome. 7 euros a day. A great deal. Food was ok. Definitely caters to Europeans. Two choices for dinner: assigned dining hall or self serve pizza. No buffet option except for breakfast. All inclusive adult beverage is totally worth it! 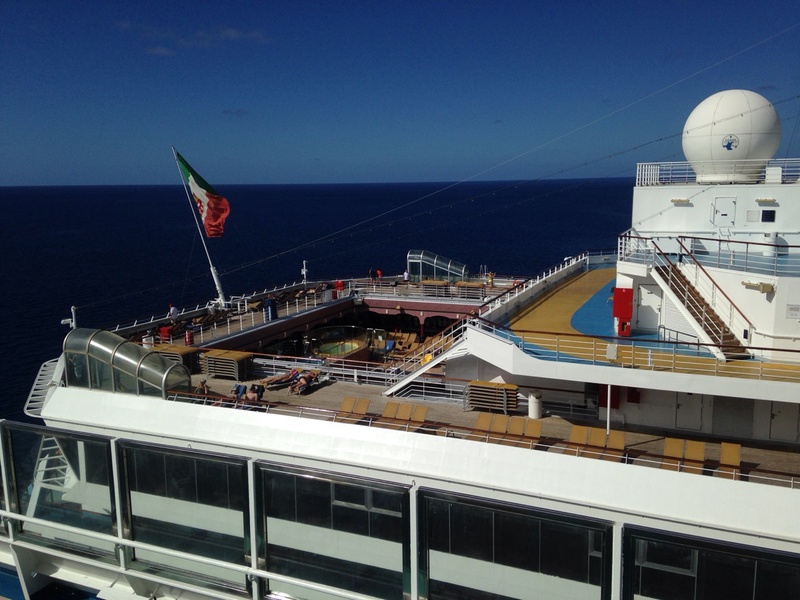 We chose this cruise because of the destinations and they were great. However, the on-board experience was not up to the standards of other cruise experiences we've had. Our balcony room was great and our cabin steward did a very nice job as did our servers in the dining room. Communications were not good - for example, we didn't get the message about needing to get our passports before arriving at Dubrovnik in a timely manner and found our about it by word of mouth at dinner. We were in our room until 6:30 pm when we went to dinner and had not received the sheet stating that we needed to pick them up between 6pm and 8pm. We were told by our tablemates at 7:45pm that if we didn't get our passports by 8pm, we would not be able to go ashore at Dubrovnik. We left our food to run to the 5th floor to get them. A crew member at the elevator told us to go to the 3rd floor so we went there and there we were told to go to the 5th floor after all. We got there right before 8pm and then were told we could get them later if we'd missed that deadline. The information sheet was in our room when we got back after dinner. Why wasn't that listed in the Today program from the night before? 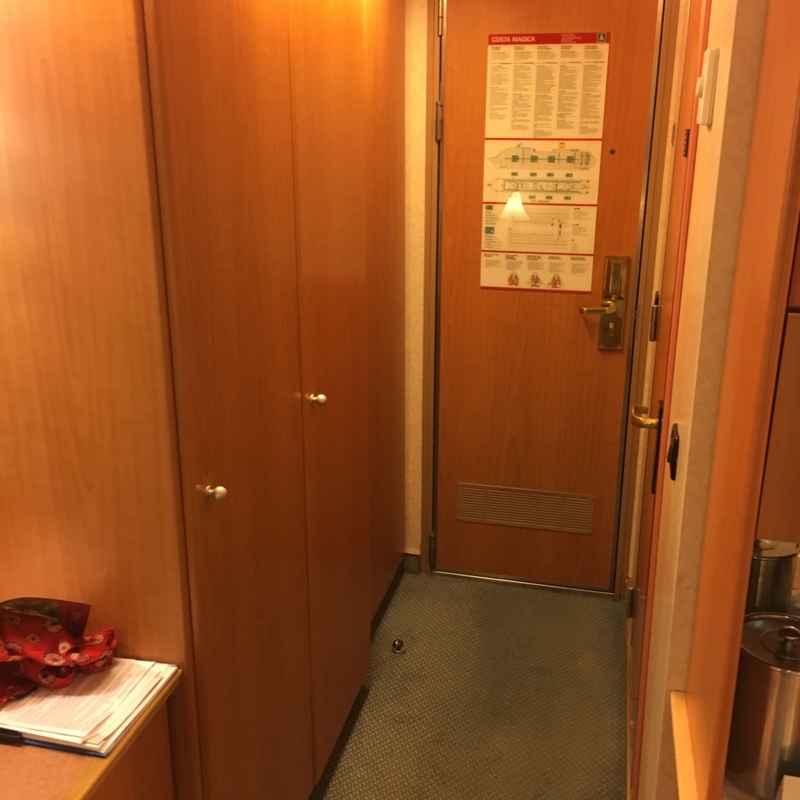 Staff did not greet us with smiles and warm greetings anytime we encountered them throughout the ship as we've become accustomed to with other cruise lines. They typically just ignored us and continued on with their own conversations. In fact, at Santorini, staff members were rude to us as we were getting ready to board the tender. The food was okay but not great like the food we've had on other ships. There weren't any activities that interested us on board the ship before or after shore excursions. No wine tastings or lecture series (although I know that would be difficult with all the languages being spoken) or dance lessons except during the day while we were off the ship. As people from the US, we found very few English speaking people and felt that this cruise line is really not really there for English speaking guests. We have sailed many times and the embarcation to the Costa Magica was the worst!! Wait in lines, wait in lines, wait in lines and basicily do nothing! Everything could have been done with more people checking you in and doing everything at one time. The cruise was very nice and the food service was fair. The entertainment was the best we have ever seen anywhere ( 5 Stars) Our room staff was just great but the waiter at dinner and the wait staff else where needs lessons in nice. The ports were very interesting and we had a good time on our own. Didn't try the excursions. Then we had to pick-up our passports on the morning of our disembarcation, oh what a mess! We waited over 2 hours in line ( and we were at the front of the line) to get passports no excuse for this irriatation. The food was good however our server was not very friendly. I found at the open sitting for breakfast and lunch they were not very friendly either. The wait staff did not seem very happy.